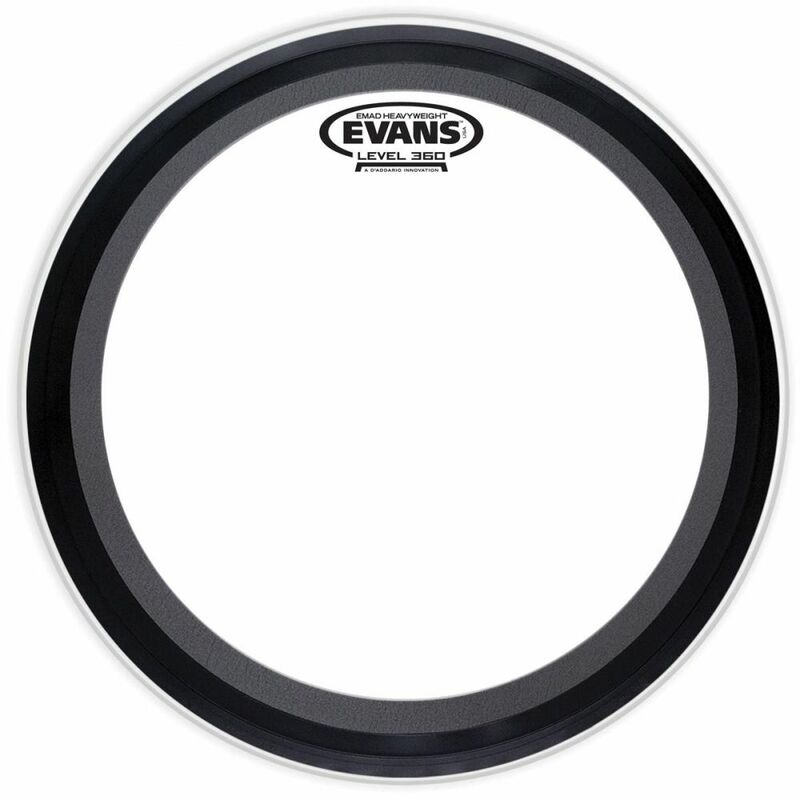 Evans™ EMAD™ Heavyweight series features two plies of film. The combination of two identical plies of 10mil film provides maximum durability and a compressed attack while maintaining a wide dynamic range. The EMAD Heavyweight contains two interchangeable damping rings that maximize attack and low-end without removing the head or reaching inside the drum. The unparalleled industry standard Externally Mounted Adjustable Damping (EMAD) system allows the player to adjust attack and focus.